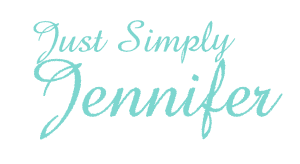 The Space and Rocket Center | Just Simply Jennifer! Well, me and the kids went down to the Space and Rocket Center this week. We have an annual pass because we went after school let out and the annual pass was cheaper than going for one day. It is strange that a lot of places are that way. The Aquarium that I really want to get to is that way too, so after I get there one time. I can go all I want for a full year. Drake went on the potty for the first time and today is Kyra’s first day of school. Life is crazy busy as you would expect. Stephen is attempting to make a record as well. He has gotten out of work really close to on time both day so far, I know that this record probably won’t happen. It sure would be nice to see him on time all week. I also bought tickets for the Disney On Ice for just me and Kyra in October. Oh my gosh…that will be so fun and just us two going. I am so excited. Life is good.